Your Body Knows How to Heal. Support this Natural Wisdom with Nature’s Herbal Remedies through Herbal Counseling. Promote Wellness of Health Imbalances with Herbal Counseling. You feel depleted and out of sync. Whether it’s a chronic condition or you simply don’t feel like yourself, you seek a safe, effective way to regain or maintain your health. Consider herbal counseling. Herbal remedies, when accompanied by proper nutrition, supplementation, and lifestyle choices are an ideal way to stimulate the body’s innate healing power and to maintain health. But the health food store has too many choices and every natural living magazine has different recommendations about what to take. It’s overwhelming! You need to meet Certified Herbalist Susan J. Squittieri. She can tune into your individual needs and goals and teach you how to choose the herbs, products, and foods that will support your wellness journey. Discover how Herbal Counseling will help you reach your health and wellness goals. How can a Certified Herbalist help you? Herbal Counseling is useful for people in all stages of health. Complex and challenging health issues respond well to this holistic approach to supplementation and nutrition. Herbs are an ideal way to prevent the ailments that are considered to be a “typical” part of life. With the right herbs, supplements, and foods in your diet, you’ll redefine what it means to be healthy at any age! How can herbs have such a profound effect on your health? Medicinally, an herb is any plant or plant substance used for its therapeutic value. 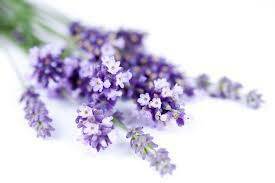 Herbs can address the imbalances in the in the body that decrease vitality and lead to dis-ease. Used by humans since time immemorial, herbs offer you a wide range of safe and effective therapeutic agents. Herbs deserve to be an integral part of your own health care program. This is your chance to rewrite your body’s personalized owner’s manual. Susan empowers you with knowledge, so that you can make informed choices about your own health care! 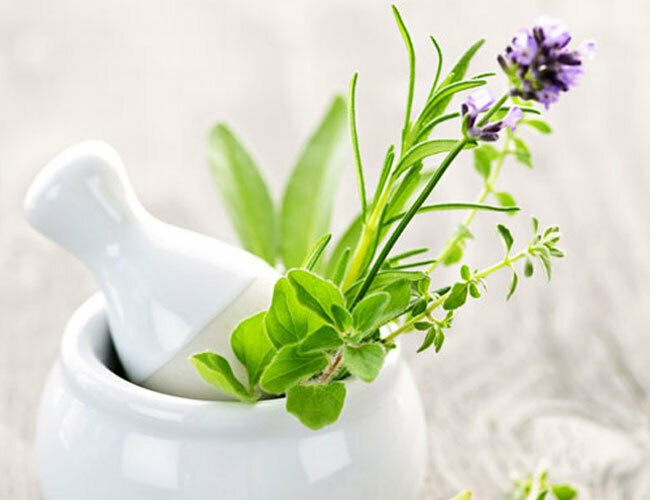 These herbal counseling sessions are educational opportunities that teach about herbs, herbal remedies, supplements, nutrition, and life-style changes that will help you achieve and maintain your own health and wellness. Susan is your guide through the field of natural healing. Ultimately, you are responsible for deciding which recommendations to implement, but Susan is always available to offer support, answer questions, and explain things in terms you can understand. Please note that Susan takes a truly holistic approach to health and healing. In addition to being a Certified Herbalist, Susan is also an Intuitive Counselor and a Reiki Master. A single Herbal Counseling session or a series of consultations will improve quality of life and offer notable results. To enhance or accelerate the healing process consider booking a package that includes Susan’s Intuitive Counseling or Reiki services as well (details below). Scheduling an Herbal Counseling session or a series of sessions with Susan will help you reach your health and wellness goals. Herbal Counseling Sessions are offered by telephone appointment only. Phone Sessions are made nationwide. Have questions before deciding? Send a message or call Susan at 845.512.8389 and learn how to heal an acute or chronic condition or prevent some of today’s common health problems by nourishing your body with herbs and proper nutrition. Herbal Counseling Pricing and Plans. Susan can only offer guidance and suggestions based on your current health and health history. With over 15 years experience, Susan has helped many people alleviate symptoms and bring their health back into a state of balance. Start with the Basic Herbal Program because you appreciate the preventative approach or because you hope that herbs and nutrition will help ease a recent or acute condition. Contact Susan for a complimentary 15-minute phone session to discover how Herbal Counseling can specifically help you heal and thrive. This package includes everything you receive in the basic program plus additional support session spread over 3 months. Choose this option when you’re dealing with a stubborn ongoing condition or as you heal from a major illness or surgery. Two 45-minute Herbal Counseling phone sessions during Months Two and Three of the program. Both of these calls include their own 15-minute follow up phone calls to review and tweak your program. Three 60-minute phone sessions with distance energy healing. These healing sessions are to be scheduled before your Herbal Counseling sessions (speak with Susan for details). Susan will call you to help you prepare for the session. You’ll talk for about 15 minutes and share any questions or concerns that you’d like to address in the session. Immediately afterward, Susan will call you to share messages and insights that came through during the session (15 minutes). Contact Susan for a complimentary 15-minute phone session to discover how Reiki can be paired with Herbal Counseling to support your whole being. Three 75-minute Intuitive Counseling phone sessions with distance Reiki energy healing. These healing sessions are to be scheduled before your Herbal Counseling sessions (speak with Susan for details). Contact Susan for a complimentary 15-minute phone session to discover how Intuitive Counseling and Reiki can be paired with Herbal Counseling to support every facet of your health. A friend recommended I call Susan to help me with my gastro-intestinal problems. She is very professional. Susan explained to me that digestive problems are the most common problems seen by herbalists and that it would take some time and effort to resolve. The program Susan put me on combine’s herbs, dietary changes, and exercise recommendations. I’ve been working with Susan for a few months with great results. Thank you Susan for helping me feel better. I have been getting herbal counseling from Susan for a chronic yeast condition that has plagued me for over 5 years. She is an excellent listener and took a very thorough history of my health. She educates and communicates the programs process, her thoughts on overall health and at home herbal techniques very clearly. I know that working with Susan is leading to healing, rather than just treating symptoms. I would highly recommend her!